Crave a podcast that goes in-depth on the hotbed that is the Japanese pro wrestling scene? 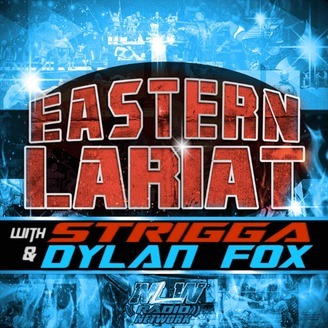 If so, the Eastern Lariat podcast from the MLW Radio Network is for you! Hosted by STRIGGA of Purolove.com and Cagematch.net and Dylan Harris of MLW's Lucha Talk, this bi-weekly podcast series explores the Japanese pro wrestling landscape with analysis, reviews and news on New Japan Pro Wrestling and beyond. Be introduced to new companies and their style of wrestling, insight on their business, wrestlers, rivalries, tours, big shows and much, much more. 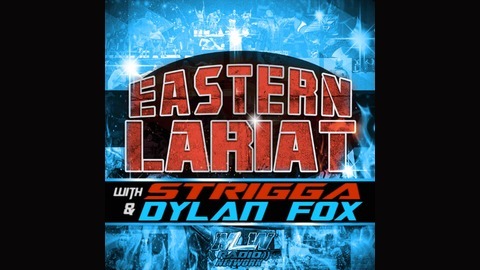 This episode marks the Hataage Kinenbi 3, the third anniversary celebration, of Dylan joining the Eastern Lariat so the Eastern Lariat crew has a very special announcement for all listeners at the end of the episode! Before that though STRIGGA & Dylan discuss the good and the bad of G1 Supercard in Madison Square Garden before bouncing around WrestleMania weekend a bit more while expressing their love for Bloodsport, Orange Cassidy and some other shenanigans that went on two weeks ago. Back in Japan the Champion Carnival rolls on so STRIGGA & Dylan give their opinions on the tournament so far and highlight some of the best and worst matches the Carnival has seen so far. Episode 112: Show some fire!